Dogs are known for their loyalty and companionship, so it's no surprise that with the title man's best friend and their love of having a 'job' that they can be great partners in service. 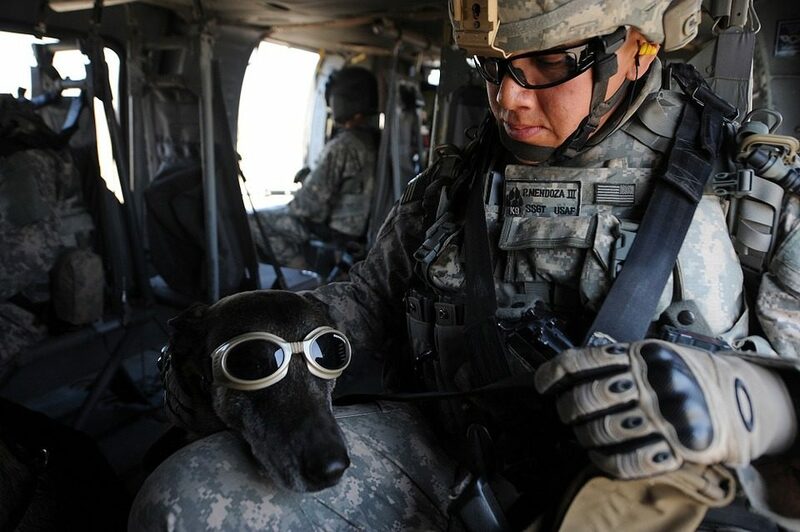 Here are 8 dogs pictured with their handler on duty which will make you proud to be a dog lover as you see the connection the dog has with his companion. ...following in his fellow canine officer's paws. This dog's handler takes the lead here. ...before settling down with his handler and squadron. A beautiful moment captured.Who got the onions out? We're not crying, you are! This dog makes his way ahead of his regiment as they check the area. Ah, again with the onions? This beautiful video captures the moment U.S. Army Specialist Tyler Roberts is reunited with his partner from Afghanistan after four years apart. The love and loyalty of a dog transcends. Whether they're at home curled up on the sofa or helping a handler or team, their companionship and loyalty never changes.